Jeez I took a lot of notes on this one. It’s much more than about sexual seduction, it’s about how to seduce anyone, politically, socially, and yes, sexually. Extremely interesting analogs from history, highly recommend it. Purpose. If people believe you have a plan, that you know where you are going, they will follow you instinctively The direction does not matter: pick a cause, an ideal, a vision and show that you will not sway from your goal.Mystery. Mystery lies at charisma’s heart, but it is a particular kind of mystery— a mystery expressed by contradiction, by having conflicting traits.Saintliness. Most of us must compromise constantly to survive; saints do not. They must live out their ideals without caring about the consequences. The saintly effect bestows charisma.Eloquence. A Charismatic relies on the power of words.Theatricality. A Charismatic is larger than life, has extra presence.Uninhibitedness. Most people are repressed, and have little access to their unconscious— a problem that creates opportunities for the Charismatic, who can become a kind of screen on which others project their secret fantasies and longings.Fervency. You need to believe in something, and to believe in it strongly enough for it to animate all your gestures and make your eyes light up.Vulnerability. Charismatics display a need for love and affection.Adventurousness. Charismatics are unconventional.Magnetism. If any physical attribute is crucial in seduction, it is the eyes. They reveal excitement, tension, detachment, without a word being spoken. Without tension, without anxiety and suspense, there can be no feeling of release, of true pleasure and joy. 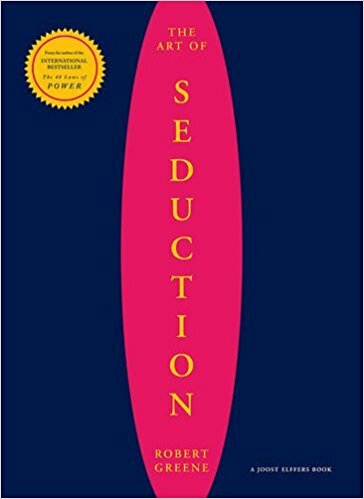 It is your task to create that tension in the target, to stimulate feelings of anxiety, to lead them to and fro, so that the culmination of the seduction has real weight and intensity. So rid yourself of your nasty habit of avoiding conflict, which is in any case unnatural. You are most often nice not out of your own inner goodness but out of fear of displeasing, out of insecurity.